Susanna I. Barrows, a professor emerita of history at the UC Berkeley, and an authority on modern French history, died at her home in Berkeley on Wednesday, Oct. 27, after a suspected heart attack. She was 65. A sparkling essayist whose work was widely published in French and English, Barrows wrote in a romantic tradition, going back to French historian Jules Michelet, in which “the people” are the heroes of their own liberation. She found their voices and their bodies, during prodigious hunts through French archives, in sources that included saved graffiti and police records of political gestures and whispered invective. “That was the breeding ground of the Third Republic and always Susanna’s home turf,” said Mary Elizabeth Berry, chair of UC Berkeley’s history department. Barrows’s first, prize-winning book, “Distorting Mirrors: Visions of the Crowd in Late Nineteenth-Century France” (1981), located the emergence of crowd psychology in late 19th century French fears over the rise of labor and feminist politics, as well anxieties about alcoholism as a new social problem. She went on to edit with Robin Room two further works, “The Social History of Alcohol” (1988) and “Drinking, Behavior and Belief in Modern History” (1991), exploring regional differences in attitudes about drinking and consumption patterns, as well as alcohol’s impact on the French medical, political and social fronts. Barrows received her B.A. from Smith College in 1967 before completing an M.A. at Indiana University in 1970. She earned a Ph.D. at Yale University in 1977, but had already begun teaching at Mount Holyoke College in South Hadley, Mass., in 1974. She was appointed assistant professor at Mount Holyoke in 1977 and joined the UC Berkeley history faculty as an associate professor in 1981. 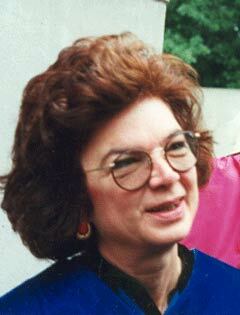 She became a full professor in 1992 and retired in 2010. She was a legendary teacher and mentor of graduate students and part of a group of faculty who made UC Berkeley “the place to study French history,” Vernon said. Colleagues recalled that during the 1980s and 1990s Barrows bought Paris to Berkeley by holding fabled “soirees” at her home and helping to shape a generation of scholarship and a network of friendship and camaraderie. “Susanna Barrows brightened every room she entered and made the life of the mind fun, funny, and deeply exciting,” said Lynn Hunt, a professor of history at UCLA and former president of the American Historical Association. Barrows won numerous academic awards, including a Guggenheim Fellowship in 1983 that she used to study drink and café life in 19th century France. Barrows served as chair of the French Studies Program and executive director of the France-Berkeley Fund at UC Berkeley from 2003 and 2005, respectively. She chaired an estimated 30 dissertation committees — almost all of which led to monographs published by university presses – and her students now teach French history at top universities across the country. Colleagues said Barrows most treasured the UC Berkeley Graduate Division’s 2009 Sarlo Distinguished Graduate Student Mentoring Award. Barrows was born in Stamford, Conn. She is survived by her daughter, Alexandra Barrows, of Berkeley, Calif.
A memorial event for Barrows is being organized by UC Berkeley’s history department and will be announced soon. Check the history department website for details.